Data published by a Palestinian research institute specialized in monitoring settlement activities in the occupied West Bank revealed that Palestinian land annexed by settlements has increased by 182 per cent in the past two decades. Applied Research Institute Jerusalem (ARIJ) noted in a report that the area annexed by Israeli settlements has increased from 69 km² in 1990, to 194.7 km² in 2012. 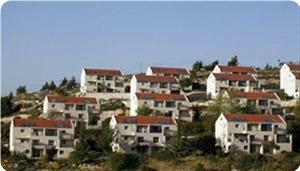 The number of Israeli settlers went from 240,000 in 1990 to more than 693,000 in 2012, - an increase of 189%, ARIJ added. It said: "Since Netanyahu came to power in March 2009, he has offered no viable alternatives to the status-quo in the occupied Palestinian territory, nor has he ever addressed the Palestinians as equal partners in the peace process." "He actively spurns peace by continuing and expanding construction activities in the Israeli settlements in the occupied West Bank, especially focusing on Israeli settlements in East Jerusalem". The report added that although Netanyahu declared in November 2009 a ten-month settlement freeze in West Bank, beginning in December 2009 until September 2010, various Israeli ministries and bodies published plans for building 25,000 housing units in West Bank settlements during that period. "99% of the plans were issued for Israeli settlements in East Jerusalem and settlements located in the Western Segregation Zone, (the area Israel seeks to annex through the construction of the Segregation Wall), as well as for Israeli settlements located in existing major settlement blocs." Approximately 70.7% of the elderly aged 60 and over in the Palestinian Territory suffered from at least one chronic disease during 2010, the Palestinian Central Bureau of Statistics (PCBS) said Sunday. The percentage was 46.5% in the Palestinian Territory in 2000. Of those, 71.6% where in the West Bank and 68.7% in the Gaza Strip, it added. It said on the eve of the World Health Day that in 2010, 18.1% of persons aged 18 years and above are suffering from at least one chronic disease in the Palestinian Territory compared to 11.5% in 2000. The fertility rate in the Palestinian Territory reached 4.4 births per woman in 2010, compared to 5.9 births per woman in the year 2000, said the report. Regarding 2010 data, 22.3% of persons 18 years and above in the Palestinian Territory are reported as smokers, divided into 41.9% males and 2.3% females. The percentage was 27.5% in the Palestinian Territory in 2000. It said that 15.1% of youth aged 15-29 in the Palestinian Territory were smokers; 28.7% of males and 0.9% of females. Around 52.5% of married women 15-49 years of age in the Palestinian Territory use a family planning method; 55.1% in the West Bank compared to 48.2% in Gaza Strip, while the percentage was 51.4% in the Palestinian Territory in 2000. PCBS said 0.8% of deliveries in the Palestinian Territory occurred at home or in other unsafe places; 1.2% in the West Bank compared to 0.3% in Gaza Strip. The highest rates of unsafe deliveries were reported in Tubas governorate in the West Bank at 4.3%, compared to 5.2% in 2000. It said 16.7% of reported deliveries in the Palestinian Territory were reported as cesarean deliveries; 18.6% in the West Bank compared to 14.0% in Gaza Strip. The highest percentage of cesarean deliveries was reported in Tubas governorate with 35.5% while the lowest was in Hebron governorate with 10.4%. It was 8.8% in the Palestinian Territory in 2000. A Palestinian human rights committee, concerned with the Palestinian prisoners' affairs, has revealed that the Israeli occupation forces had arrested during the past week 77 Palestinians from the West Bank and occupied Jerusalem. "Prisoner's Friends" Committee reported in a statement on Saturday that during the period between March 30 and April 5, the occupation troops have stormed houses of detainees and set up military checkpoints on main roads. According to the Committee's report, the Israeli Magistrate Court in Jerusalem decided to release ten Jerusalemites on bail of 500 shekels each along with a commitment not to approach Bab Al-Amud suburb in occupied Jerusalem for 20 days. The report added that during the past week the occupation authorities have postponed the trial of a number of prisoners, turned down appeals, and extended the administrative detention of a Hamas cadre. Ansar Al-Asra group said that there are still 230 Palestinian minors and children in Israeli jails, most of them are locked up in Hasharon jail. In a press release on the Palestinian children's day on Friday, the group stated that the Palestinian children in Israeli jails are exposed to intimidation and physical abuse, deprived of seeing their families, and forced to pay heavy fines. It affirmed that many children suffer from health problems, especially skin infections, and are medically neglected, while the Israeli interrogators extort them into making confessions in exchange for treatment. The group also said that some children are administratively detained without trial and their right to education is denied. It noted that dozens of other detainees were children when they were taken prisoners, but they exceeded their childhood age because of the long period they have spent in jails. The group appealed to human rights organizations to pressure the Israeli regime to end its violations against the Palestinian children. 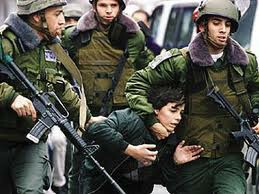 Human rights data showed that the Israeli occupation forces (IOF) arrested more than 130 Palestinians, including 35 children, in March in the city of al-Khalil. According to the monthly statistics of Palestinian Prisoners' Society (PPS); the occupation arrested 35 children between the ages of 13 and 17 years, in addition to 40 other students. 11 sick Palestinians have also been detained in al-Khalil in the past month by the occupation forces, which did not take into account their health conditions and abused them in the interrogation centers. PPS pointed to the policy of "stealing the prisoners' money" by imposing on them financial penalties ranging between 1000 and 6000 shekels, as "a punitive procedure". The Israeli military court in Ofer has imposed on the prisoners fines to the tune of 50 thousand shekels (about 13 thousand dollars) during last March. 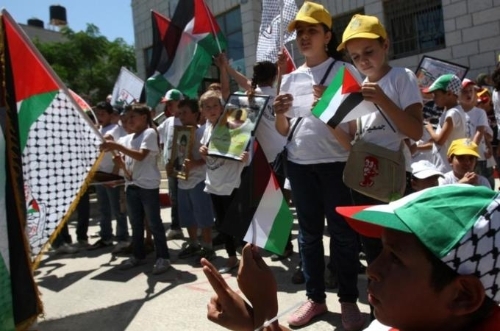 Marking the occasion of Palestinian Children Day on April 5, the Palestinian Central Bureau of Statistics (PCBS) Thursday said that children under the age of 18 make up almost 2 million of a total 4.29 million Palestinian population in the West Bank and Gaza Strip. Based on the results of the Population, Housing and Establishment Census-2007, the estimated number of children in the Palestinian Territory totaled to 2.04 million out of 4.29 million individuals, the total population in the Palestinian Territory, in the mid of 2012, said the PCBS. The percentage of individuals under the age 18 is still high which is about 47.6% of the total population is, it said. Demographic statistics and trends in the Palestinian society showed that the children will constitute the majority for several coming years due to high fertility rate of the Palestinian women and low infant mortality rates. A Palestinian family is also formed at early ages since the females mean age at first marriage in the West Bank was 20.0 years and 24.6 years for males in 2011. The PCBS said that 11 out of 100 under-five children suffer chronic malnutrition in 2012, including 11.5% in the West Bank and 10.4% in Gaza Strip. Hebron governorate had the highest rate at 16.7% compared to the rest of the governorates. In 2010, 3.7% of children aged less than five years in Palestine were underweight; 3.9% in the West Bank and 3.5% in the Gaza Strip. On the level of governorates, the rate was 5.6% for Hebron, 4.8% for Ramallah and Al-Bireh, and 3.9% for Jerusalem. The underweight rate in Deir Al-Balah in the Gaza Strip reached 4.4% compared to 4.3% in North Gaza and 4.2% in Rafah governorates. Based on Ministry of Health data for 2011, the leading cause of infant mortality in the West Bank was respiratory tract infections with 39.7%; 42.0% for male children and 37.0% for female. This was followed by infant mortality caused by premature and low birth weight with 16.2%; 17.0% for male children and 15.2% for female children. Congenital anomalies caused death in 15.9% of cases; 13.6% for male children and 18.5% for female children. Septicemia was the cause of 15.3% of infant mortality; 15.3% for male children and 15.0% for female children. According to data from the Ministry of Health for 2011, the leading cause of deaths among children under five years in the West Bank was conditions in the prenatal period totaling 36.7%; 37.8% for male children and 35.3% for female children. In 2010, 19.4% of children aged 6-59 months had anemia; 25.6% in the Gaza Strip and 13.4% in the West Bank. Qalqilya governorate reported the highest rate of anemia among children with 32.3%, followed by Salfit 19.7% and Nablus governorate 19.4%. In the Gaza Strip, Deir Al-Balah governorate reported the highest rate of anemia of 41.4%, followed by Gaza 31.3% and Khan Yunis 21.8% governorates. Poverty data indicated that 14.5% of households in the West Bank suffered from poverty in 2011; 15.7% of households with children and 10.5% of households without children. In the Gaza Strip, 32.6% of households suffered from poverty in 2011; 34.6% of households with children and 21.1% of households without children. In 2011, 27.2% of children in Palestine were poor; 18.4% in the West Bank and 39.3% in the Gaza Strip. The results of the Labor Force Survey of 2012 showed that 4.1% of all children (10-17 years) were in paid or unpaid employment, of which 7.5% are males and 0.6% are females; 5.8% in the West Bank and 1.5% in the Gaza Strip in 2012. 2.2% of children who attend school are employed; 3.4% in the West Bank and 0.3% in the Gaza Strip; 4.0% males and 0.5% females while 28.5% do not attend school; 34.3% in the West Bank and 18.2% in the Gaza Strip, of which 38.5% are males and 2.8% are females. About 56.9% of working children in Palestine work for their families as unpaid workers; 95.5% females and 54.0% males. Around 37.4% are paid and work outside the family; 2.6% females and 40.0% males and 5.6% are employers or self-employed. Moreover, 38.5% of working children in Palestine work in agriculture; 42.9% in West Bank and 12.2% in Gaza Strip, while 30.0% work in commerce, restaurants and hotels; 27.9% in West Bank and 42.5% in Gaza Strip. Additionally, 31.5% work in other economic activities such as the recycling industry, construction, transportation or services sectors; 29.2% in West Bank and 45.3% in Gaza Strip. 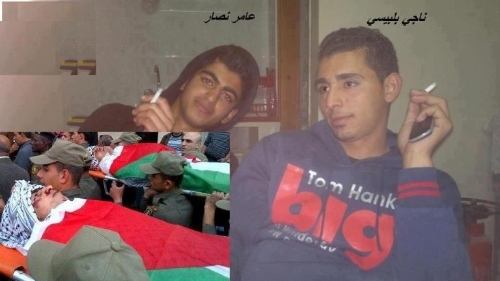 On Wednesday evening, 03 April 2012, in an example of excessive use of force, Israeli forces killed two Palestinian civilians and injured a third from 'Anabta village, east of Tulkarm, northern West Bank. The incident occurred when Israeli soldiers, stationed at 'Inab military checkpoint, east of Tulkarm, opened fire at a group of young Palestinian demonstrators in the area surrounding the checkpoint. According to PCHR investigations, at approximately 21:30 on Wednesday, a group of Palestinian boys and young men made their way towards 'Inab military checkpoint on the main Nablus – Tulkarm road, east of 'Anabta, east of Tulkarm. The boys threw stones and empty bottles at Israeli soldiers who were stationed inside military watchtowers. The soldiers responded with live bullets and chased the demonstrators. As a result, 18-year-old 'Amer Ibrahim Naji Zarboul sustained a bullet wound to the chest, killing him instantly, and Fadi Abdul-Qader Ibrahim Nassar (20) sustained a bullet wound to his right hand. A Palestine Red Crescent Society (PRCS) ambulance arrived at the scene, but medical sources informed a PCHR fieldworker that Israeli forces prevented the ambulance from transferring Zarboul's body. According to the same source, Zarboul’s body remained on the Israeli side of the checkpoint for approximately 20 minutes before paramedics were given access. The injured man, Nassar was transported to Martyr Thabet Thabet Public Hospital in Tulkarm for medical treatment. At approximately 04:30 on Thursday, 04 April 2013, the Israeli Liaison Office informed their Palestinian counterpart that the body of another Palestinian man was present at the checkpoint. A PRCS ambulance went to 'Inab military checkpoint, retrieved the body and transferred it to Martyr Thabet Thabet Public Hospital. The deceased was identified as Naji Abdul-Salam Naji Bilbaisi (19). Bilbaisi had sustained a bullet wound to the chest; medical sources could not confirm whether the deceased had died instantly or if he had bled to death. PCHR strongly condemns this demonstration of the continued use of excessive force by Israeli forces against Palestinian civilians. PCHR calls upon the international community to take immediate and effective action to put an end to such crimes and reiterates its call for the High Contracting Parties to the Fourth Geneva Convention to fulfil their obligations under Article 1, i.e. to respect and to ensure respect for the Convention in all circumstances, and their obligation under Article 146 to prosecute persons who allegedly committed grave breaches of the Fourth Geneva Convention. Such grave breaches may constitute war crimes under Article 147 of the same Convention and Article 85 of Protocol I Additional to the Geneva Conventions. The Israeli forces killed 2 Palestinian civilians and wounded a third one in Anabta village, east of Tulkarm. A child and a boy were wounded during an incursion into Hebron. The Israeli forces continued to use excessive force against peaceful protests in the West Bank. An Irish journalist was wounded in al-Nabi Saleh protest while a Palestinian civilian was wounded in Kofur Qaddoum protest. A Palestinian boy was wounded during a peaceful protest in the center of Hebron, in protest to the death of the Palestinian prisoner Abu Hamdiya. 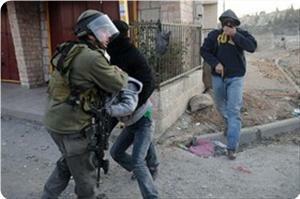 6 Palestinian civilian, including 4 children and a photojournalist, were arrested. The Israeli forces conducted 65 incursions into Palestinian communities in the West Bank. 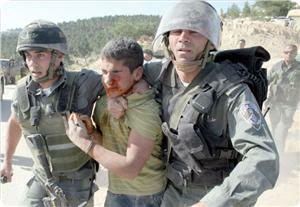 30 Palestinian civilians, including 3 children and a woman, were arrested. During the reporting period, the border crossings between the Gaza Strip and Israel were completely closed for 4 days. The Israeli forces established dozens of checkpoints in the West Bank. 5 Palestinian civilians, including 4 children, were arrested at checkpoints. The Israeli forces have continued to attack the Palestinian fishermen in the sea and conducted 2 airstrikes on the Gaza Strip. The Israeli forces continued to fire at Palestinian fishing boats to force them to sail within the 3 nautical-mile limit only. Israeli has continued its efforts to create Jewish majority in occupied East Jerusalem. A Jerusalemite was obliged to demolish a room attached to his house. The Israeli forces have continued settlement activities in the West Bank, and Israeli settlers have continued to attack Palestinian civilians and property. The settlers uprooted 200 olive seedlings in al-Khader village, south of Bethlehem. 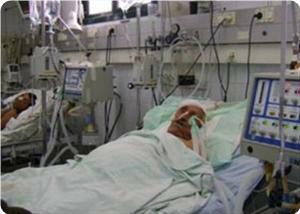 The settlers continued their attacks against the Palestinian civilians and their property. PCHR urges President Mahmoud Abbas and the Palestinian leadership to follow through on recent statements they have made, in which they have pledged to sign and ratify the Rome Statute of the International Criminal Court (ICC). The Palestinian leadership must fulfil their responsibilities in ensuring justice and redress for Palestinian victims of violations of international humanitarian and human rights law. In light of the continued failure of the Israeli legal system to provide justice, the Palestinian leadership must seek it through the international courts. The ICC is the primary institution through which they may seek to put an end to impunity for the perpetrators of crimes against the Palestinian people, and achieve accountability for the countless Palestinian victims who have been denied access to justice for so long. Since Palestine was recognised as a non-member observer state to the United Nations, on 29 November 2012, it is now open to President Abbas to sign and ratify international treaties, including the Rome Statute. On a number of occasions since, various Palestinian officials have made statements threatening to do so. Applying for membership of the ICC is not to be used as an empty threat, wielded as a weapon in a political battle. It is the responsibility of the Palestinian leadership to sign this and other international treaties, in order to provide protection for their people. The human rights situation in the occupied Palestinian territory is worsening year after year. The Palestinian people continue to be denied their right to self determination. The situation in the West Bank, including East Jerusalem, is deteriorating under occupation; settlements continue to be expanded by Israel, Palestinian prisoners in Israeli jails are subjected to ill treatment and even torture, construction of the annexation wall is ongoing, and demonstrators are subjected to the excessive use of force by Israeli soldiers. In the Gaza Strip, 1.7 million people are subjected to a heinous form of collective punishment, cut off from the outside world and forced into de-development. Attacks against farmers in the border area and fishermen at sea frequently occur and, on Tuesday 2 April 2013, Israeli forces launched airstrikes on the Gaza Strip for the first time since the conclusion of the November ceasefire agreement. Palestinian civilians, protected persons of international humanitarian law, are subjected to relentless attacks by Israeli forces. Over 80% of all casualties during ‘Operation Cast Lead’ in 2008/9 were civilians. In November 2012, during ‘Operation Pillar of Defence’, civilians were yet again subjected to attack. 102 of the 171 persons killed by Israeli forces were civilians, including 35 children, 14 women, and 3 journalists. More than 95% of those injured were also civilians. Neither large-scale offensive has been properly investigated, and their victims have been systematically denied justice. PCHR recognises that the ICC is the principle independent body which is capable of conducting such investigations. The State of Palestine should sign and ratify the Rome Statute without undue delay, and lodge a declaration with the Court’s Registrar under Article 11 (2) and 12 (3) of the Statute, accepting the exercise of jurisdiction by the Court from the date of entry into force of the Statute, 1 July 2002. PCHR also urges the international community to support the efforts of the Palestinian people to seek justice for violations of international humanitarian and human rights law through use of the principle of universal jurisdiction. As Palestinian Child Day is celebrated on 5 April, Omsiyat Kamal ‘Awaja (15) is one of many Palestinian children for whom the day, like every other, will be marked by unbearable loss and suffering. It is impossible to count the number of children in the Gaza Strip who have been directly affected by loss. Since the outbreak of al-Aqsa Intifada on 28 September 2000, PCHR has documented the killing of 958 Palestinian children and injury of 6,355 others in the Gaza Strip. 313 children were killed during ‘Operation Cast Lead’ (2008-9), and a further 35 children were killed during ‘Operation Pillar of Defence’ in November 2012. PCHR has also documented the tragic consequences on thousands of children of the destruction of their homes, denying them the right to shelter. A small, mud house with a small yard in the front, piles of pots and kitchen utensils scattered here and there, a number of books leaning against the wall of the house, which barely shelters its residents. That is what the house in which Omsiyat currently lives looks like. The house was built by UNRWA as a temporary alternative for the ‘Awaja family home, which was destroyed by Israeli forces in 2009 during ‘Operation Cast Lead’. On 4 January 2009, Israeli forces destroyed the ‘Awaja building in Beit Lahia without any prior warning. The residents fled to a neighbouring tract of land when Israeli bulldozers began to destroy their home. After the house had been destroyed, the children’s mother, Wafaa’ (36), went back to collect what could be salvaged from under the rubble. She was accompanied by three of her children, Diaa, Sobhi, and Ibrahim, each of whom was younger than 13 years of age. 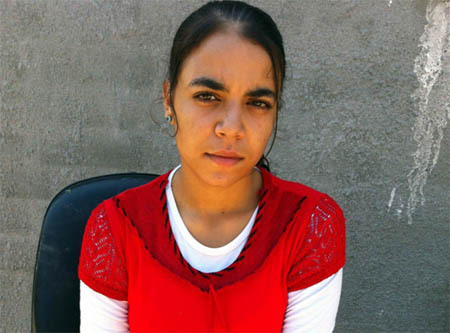 Omsiyat’s story is included in a report that PCHR has recently published, ‘The Best is Yet to Come’, along with the accounts of 14 more children in the Gaza Strip who have experienced bereavement, injury, the injury of a loved one, the destruction of a home, or long-term separation from a father who is in prison. The report was funded by UNICEF. Palestinian children are a particularly vulnerable group and are among those most affected by Israeli forces' violations in the West Bank and the Gaza Strip, which have been ongoing since 1967. International humanitarian law (IHL) grants children two forms of protection: first, the general protection granted to them as non-combatant individuals; second, special protection as they are considered to be a particularly vulnerable group in times of war and armed conflict. Under the principle of distinction, parties to a conflict must, at all times, distinguish between civilians and combatants, and civilian objects and military targets. Violations of this principle constitute war crimes, as defined in, inter alia, Articles 8(2)(b)(i), and (ii) of the Statute of the International Criminal Court. Depending on the scale of such attacks, and whether they form part of a plan or policy, such attacks may also constitute the crime of wilful killing and be a grave breach of the Geneva Conventions. In addition, IHL requires that any attack must be proportionate. An attack which may be expected to cause incidental loss of civilian life, injury to civilians, damage to civilian objects, or a combination thereof, which would be excessive in relation to the concrete and direct military advantage anticipated. Furthermore, under the principle of precaution, customary IHL requires that all feasible precautions must be taken to avoid, or at least to minimise, incidental loss of civilian life, injury to civilians and damage to civilian objects. Special requirements for the treatment of children in times of armed conflict are outlined in the Fourth Geneva Convention Relating to the Protection of Civilian Persons in Times of War, Articles 14, 17, 23, 24, 38, 50, 82, 89, 94, and 132; Additional Protocol I to the Fourth Geneva Convention Relating to the Protection of Civilian Persons in Times of War, Article 77. UN General Assembly, Rome Statute of the International Criminal Court (last amended 2010), 17 July 1998, Articles 8(2)(b)(i), and (ii). Fourth Geneva Convention Relating to the Protection of Civilian Persons in Times of War, Article 146. Additional Protocol I to the Fourth Geneva Convention Relating to the Protection of Civilian Persons in Times of War, Article 57. 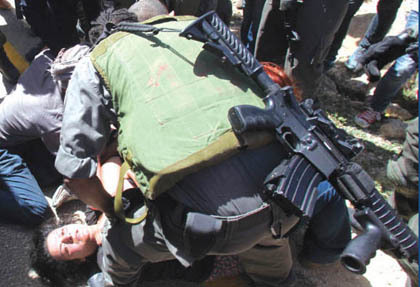 The Government Information Office documented Israeli violations and abuses against Palestinian journalists' freedom during the month of March. March has witnessed a serious Israeli escalation against journalists in the West Bank and occupied Jerusalem, where IOF targeted journalists using rubber-coated metal bullets and tear gas, and prevented them violently from covering events, especially covering settlement activities, marches against the Apartheid Wall, solidarity protests with the Palestinian prisoners on hunger strike, and most recently land Day marches, the report stated. Four journalists were injured with live ammunition and rubber bullets and tear gas fired by Israeli forces, as 4 other journalists were attacked by IOF after storming their homes, beating them and destroying their equipment, most recently the attack on Al Jazeera crew in Sakhnin while covering Land Day marches. The Israeli occupation forces arrested 6 reporters, while the Israeli court extended the arrest of 9 journalists, including Mohamed Saba'na for two times. Israel arrested 1070 Palestinians since the start of this year, including 234 children, Palestinian researcher specialized in prisoners’ cases Abdulnasser Farwana said Tuesday. He said in a report that the 234 children were arrested during the past three months, while 200 children were arrested during the same period of time for last year. An 8.4% rise in the rate of Israeli arrests of Palestinians accrued in the first quarter of this year, when compared to the previous quarter, said Farwana. Israeli occupation forces (IOF) rounded up 330 Palestinians in the past month of March including 90 children, a human rights group said on Monday. The Palestine prisoners center for studies said in its monthly report that the detainees were taken in 295 incursions in the West Bank, Jerusalem, and Gaza Strip. It said that some of them were released after a few hours or few days of interrogation while some were still in custody. The report noted that Al-Khalil topped the list as 130 inhabitants of the province were arrested in March, which is more than one third of the total detainees. It pointed out that the detainees included 90 minors, six women, an MP, ex-prisoners, journalists, and human rights activists. The center said that the Israeli occupation authorities banished detainee Ayman Sharawne to Gaza after eight months of hunger strike. The center asked international organizations to intervene to stop the IOA ceaseless campaigns of arrests in lines of the Palestinian people.